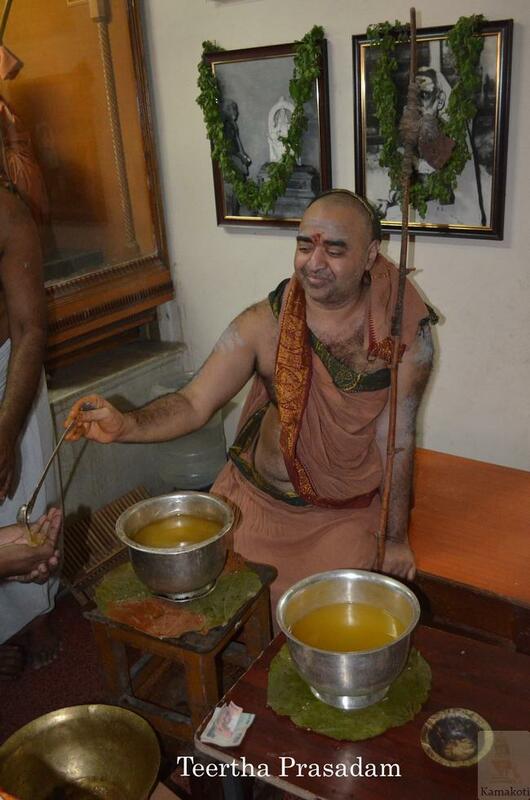 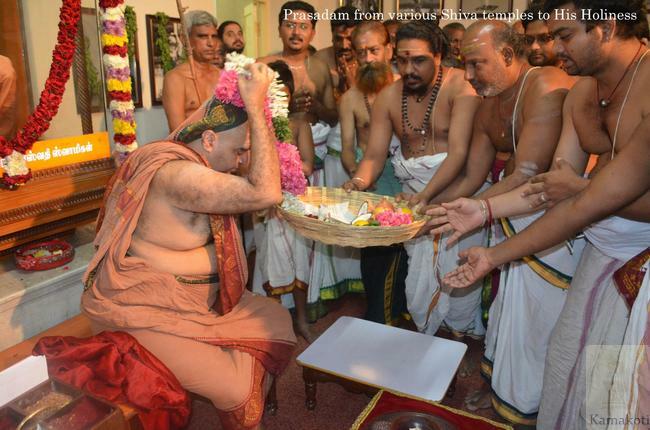 His Holiness Pujya Shri Shankara Vijayendra Saraswathi Shankaracharya Swamigal blessed devotees with teertha prasadam. 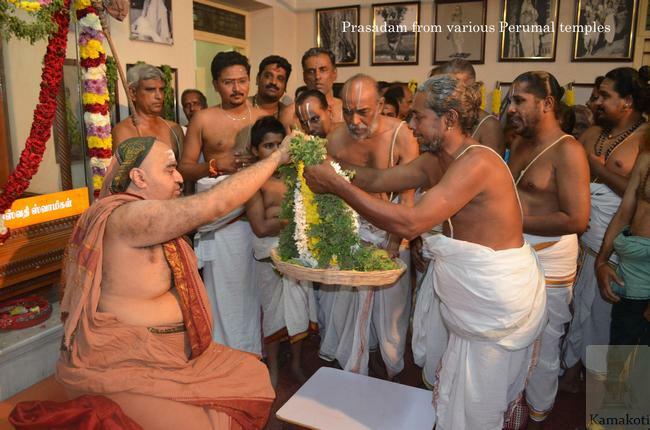 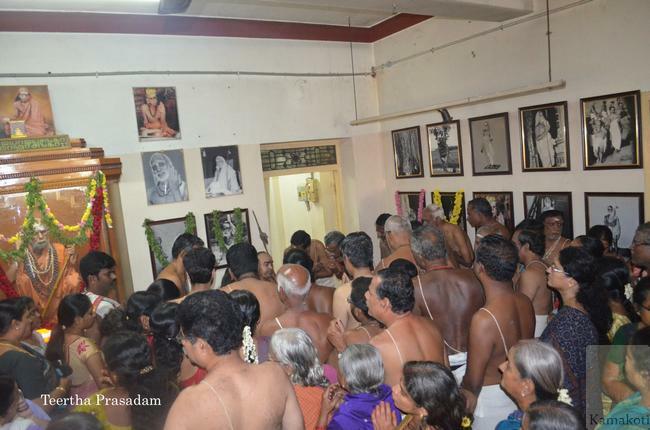 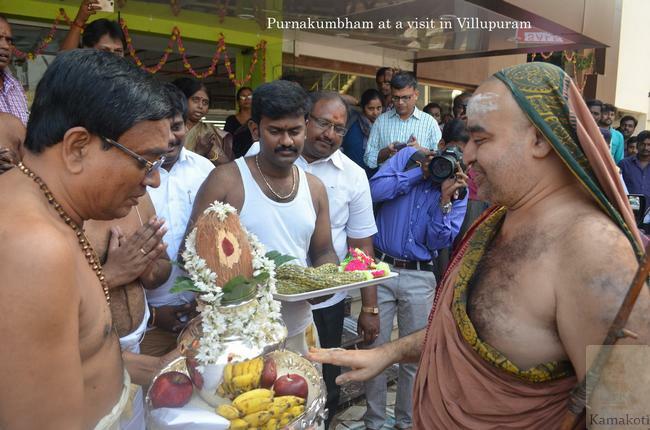 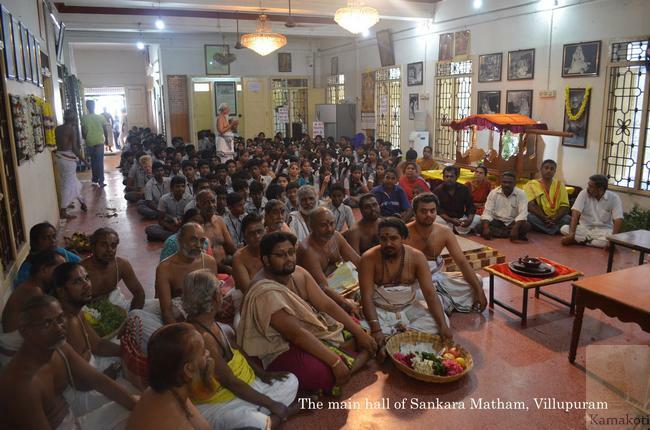 Shivacharyas & Bhattacharyas of temples in Villupuram gave temple prasadams to His Holiness. 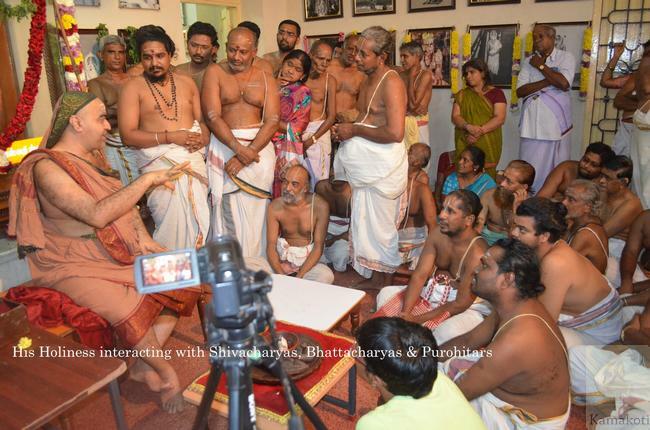 His Holiness discussed in length about the various issues concerning the Archaka community with them. 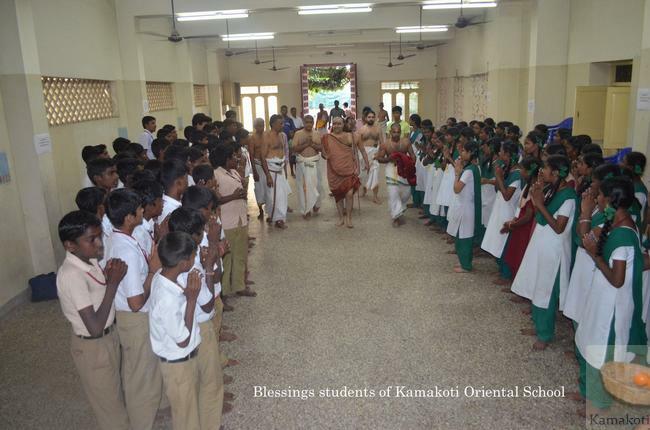 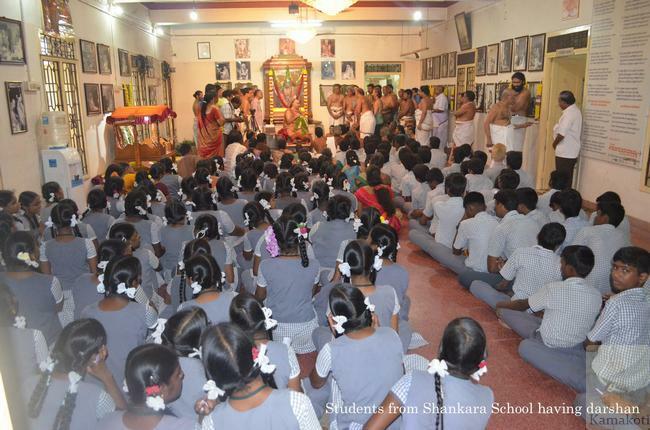 His Holiness then blessed the Shankara School students & Kamakoti School students and left for Maragathapuram.